Sorority chapter instagram accounts are our obsession. We follow along so we can make sure to keep up with the latest sorority trends. We thought we’d share some of our favorite instagram accounts from each sorority. 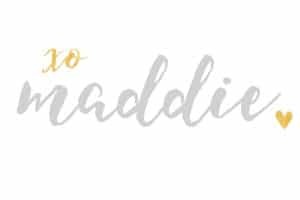 These accounts are perfect for getting sisterhood, t-shirt, big/little and theme inspo for your chapters! Or even just to follow for the fun of it, like we do! 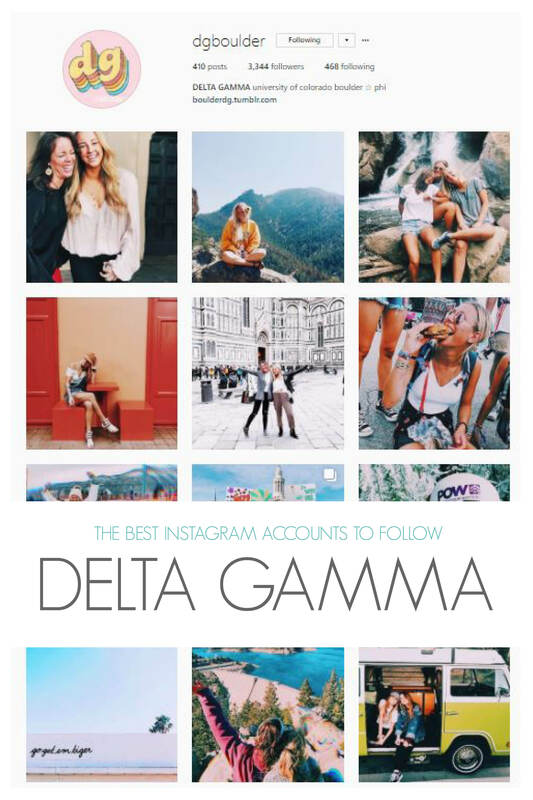 Follow along as we walk you through our fave Delta Gamma accounts. @ucladeltagamma: These beautiful bruins are showing off some school spirit in this adorable game day pic! Counting down the days until we get to come home to this winter wonderland! @uodeltagamma: This super cute pacific northwest gram is to die for! This beautiful picture of their perfect house leaves us SoCal girls craving some snow. @wsudeltagamma: A Tiffany’s sisterhood?! Sounds right up our alley. So jealous of this picture perfect sisterhood! @deltagammausc : Fight on! Delta Gamma at USC leaves us missing college football game days with their super cute game day posts! @deltagammautah: Sail away these Utah babes! This spring break post from Utah DG leaves us craving a beach day with some sisters. @az_deltagamma: This girl power post is positively perfect! The future is female and we are stronger together! @dgboulder: This VP of membership post is so cute! Sometimes behind the scenes work can be pretty thankless and acknowledge the hard work of sisters is so special! Thank you @ucsbgreekweek for such an amazing week! We loved getting together to strengthen our community and raise money for IV elementary??? @deltagammaucsb: This super trendy chapter posted this pic of their creative member’s beautiful masterpiece. So impressed! @ucideltagamma: PUPPIES!! Everyone’s a sucker for a puppy. Adding an adorable dog pic like this one is sure to bring in the likes! @davisdeltagamma: This big little post is to die for! Unicorns are so magical and we are loving this! That’s it for now. We’ll be highlighting our fave accounts from each chapter! We’re sure there’s a ton of other awesome chapter feeds out there! If you want your chapter’s social media feed, make sure to tag us in your posts or DM on us on instagram (@a_listgreek). If you’re wanting to step up your social media game (we know what a huge challenge it can be) it’s always great to follow some accounts that inspire you! This entry was posted in Members Only: A blog for chics and Greeks alike. and tagged Delta Gamma, instagram, social media.